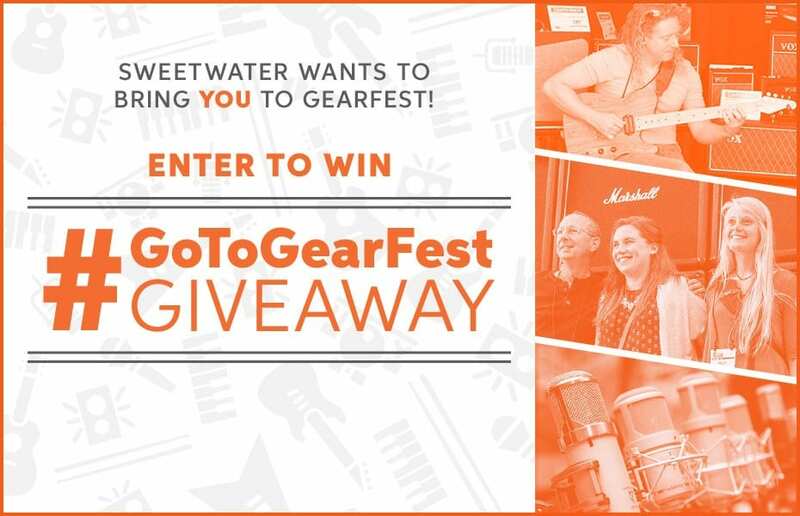 For a limited time, enter the Sweetwater #GoToGearFest Giveaway and receive and opportunity to win 1 of 4 trips to GearFest 2019 in Fort Wayne, Indiana! For your chance to win this Sweepstakes, visit the official website during the Entry Period. Once there, follow the on-screen instructions to complete your registration. After having completed this steps, you will get an entry into the Sweepstakes. Entries are limited to one per person for the whole Sweepstakes Period. Sweepstakes ends on April 28th, 2019. You must be at least 18 years of age at the time of entry to be eligible. At the conclusion of the Entry Period, four winners will be selected in a random drawing from among all eligible entries received. Odds of winning depend on the number of eligible entries received during the entire Sweepstakes. One $200 pre-paid VISA card for the winner and one Guest to accommodate transportation to and from a hotel selected by the Sponsor to the GearFest event as well as meals during the duration of the visit.